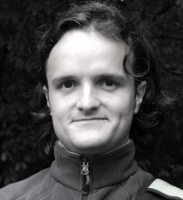 Mihai Varga is a research fellow in sociology at the Eastern Europe Institute, Freie Universität Berlin. He was a Max Weber Fellow in 2011-2012 and has finished his doctoral studies at the Sociology Department of the University of Amsterdam with a dissertation on the political economy and sociology of labor relations in the post-communist context (February 2011). Generally his research and teaching focuses on market reforms and their outcomes in post-communist industry and agriculture, employment relations, economic sociology, International Political Economy, sociology of social movements and in particular of the labor movement, nationalism, qualitative research design, the post-communist far right.